A couple of months ago I bought a cardboard stag head from TYPO, thinking maybe it would suffice as a Christmas tree of sorts. Hang a few ornaments from the horns, pack the pressies underneath sort of thing. However when my mum and dad gave us their tree, I decided to spray him neon orange and have him at our front door instead of a wreath (they remind me of death). 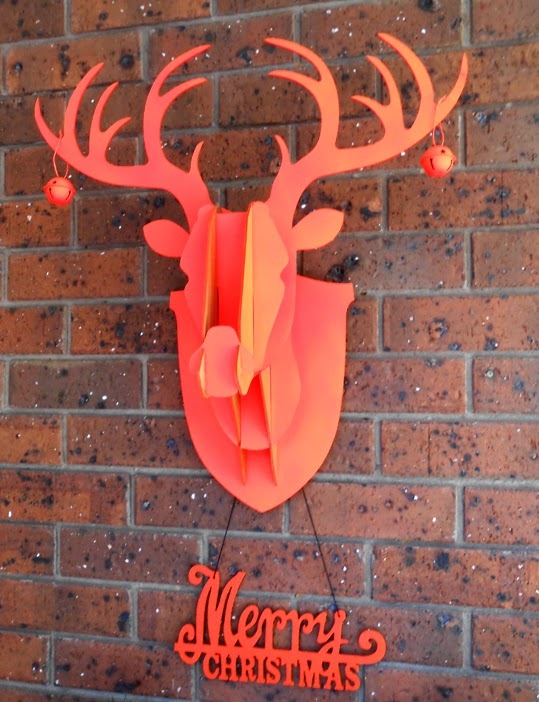 I bought a cheap Merry Christmas sign, which I also sprayed orange. What do you think?